Reasons for these difficulties are manifold, but they ultimately stem from the extreme difficultly to reconcile strategic cultures, independent from governments in power but rather structural national features. Consequences of these differences then trickle down to hands-on matters such as cooperation during military operations or joint industrial projects. Strategic cultures are of course difficult to summarise in a few sentences. Yet, to capture just the essence of French thinking on all things defence, the notion of “strategic autonomy” is key – the French version that is, as anchored in national White Papers since 1994, not the European version as it appeared in the 2016 European Union Global Strategy. In short, France aspires to being an independent power, able to go it alone, with its independence backed-up by a national nuclear deterrent kept outside NATO planning processes. As e.g. operation Barkhane in the Sahel illustrates, doing it alone is a real option. In public opinion, French interventionism is pretty uncontroversial – even more so since large-scale terror attacks have hit the country hard. “Power” and “interests” are part of the normal vocabulary on security and defence. German strategic culture could hardly be more different. Cultivating a “culture of restraint” since the end of World War 2, the country is skeptic vis-à-vis military interventions in general. Unilateral engagement is excluded, even on constitutional grounds. If Germany intervenes, it has to be in a multilateral setting. Moreover, the Bundestag has to authorise any Bundeswehr deployment. “Power” and “interests” are rarely used words. Moreover, French and German security priorities and threat perceptions are simply different. It may seem somewhat simplistic to state that France looks South and Germany looks East, yet this assessment still captures the essence. Moreover, the intensity with which France looks South is much greater than that of Germany’s looking East. France perceives a real threat, Germany on the other hand, does not. Translated into defence terms, this means that the French emphasis is on crisis management and foreign operations, whereas Berlin officialised its return to territorial defence in 2018, yet without really being driven by a threat perceived as serious. The Bundeswehr’s engagement on NATO’s “Eastern flank” has indeed more to do with alliance solidarity than with fear of Russia. Germany’s reluctance to engage in military operations has led to disappointment, if not exasperation, in Paris. When it comes to defence, France largely feels left alone by its most important political partner. At times when French armed forces suffer from severe overstretch – due to international operations but also the large-scale anti-terrorist operation Sentinelle on national territory – France is indeed in greater need of partners than ever. Yet, hopes triggered by Germany’s new discourse on security and defence since 2014 notwithstanding, Berlin is far from being the kind of support Paris is looking for. All this does of course not bode well for the pursuit of joint defence objectives in a Franco-German context, be it purely bilateral or embedded in a larger multilateral context such as the EU. Such fundamental differences notwithstanding, Paris and Berlin still manage to find common ground. But if France and Germany want the same thing, it is often for different motives. When it comes to European defence cooperation properly speaking, i.e. the EU’s Common Security and Defence Policy, the rule of thumb is that Paris approaches it under a defence angle, whereas Berlin largely views it as European integration. While both consequently agree to push the matter, their criteria for success vary. The adoption of PESCO – Permanent Structured Cooperation – provided yet another example: France wanted to move forward with those member states able and willing to do more, with a focus on operations. Germany wanted an inclusive PESCO, with a focus on capabilities. PESCO today resembles German preferences, while Macron’s non-EU European Intervention Initiative (EII) reflects French priorities. Berlin’s enthusiasm for EII is limited, just like many in Paris were not happy with how PESCO turned out. For all these reasons, the “grand strategy” level is largely absent from the bilateral relationship. Understanding at the operational level is difficult to find. Not unsurprisingly, therefore, the most ambitious projects are currently about industrial cooperation. This includes notably the so-called Future Combat Air System and a Franco-German main battle tank. While these projects have the potential to be game changers for Europe’s defence industry, they are also the source of potential trouble between Paris and Berlin. Not only must both sides agree on product specifications if the projects are to make sense, how and where planes and tanks are to be exported – a necessity to make the undertakings economically viable – is clearly a hot question. In Germany, armament exports are highly controversial, leading Paris and defence companies to fear that Berlin might block sales further down the line. Disagreement over exports has the potential to pollute the relationship well beyond industrial cooperation. In sum, the true driving force behind Franco-German defence cooperation is often political necessity derived from the overall importance of the bilateral relationship rather than jointly pursued defence interests. Fears of Paris and Berlin dominating European defence affairs are therefore largely exaggerated. The greater risk is disagreement between the partners leading to the absence of Franco-German leadership on security and defence affairs when Europe’s security is at the crossroads in light of a deteriorating security environment and increasing transatlantic uncertainties. Absent any other credible provider of such leadership, there is no alternative to France and Germany working together. Neither of them can do the job alone: Paris may well want to lead, but it lacks followers. Berlin, in turn, may well have approaches easier to reconcile with other Europeans’ priorities, but lacks the willingness (and perhaps ability) to lead. Once more, therefore, the Franco-German tandem is indispensable. 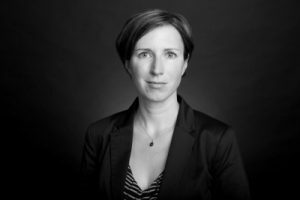 Dr. Barbara Kunz is a research fellow at the study committee on French-German Relations of the French Institute of International Relations (Ifri) in Paris. She works on European defence and security, particularly on French-German defence cooperation. She moreover covers Nordic security affairs.